We use the future continuous (will be + present participle) to say that something will be in the middle of happening. We may sometimes use the future perfect continuous tense (will have been + present participle) for an unfinished action in the future. 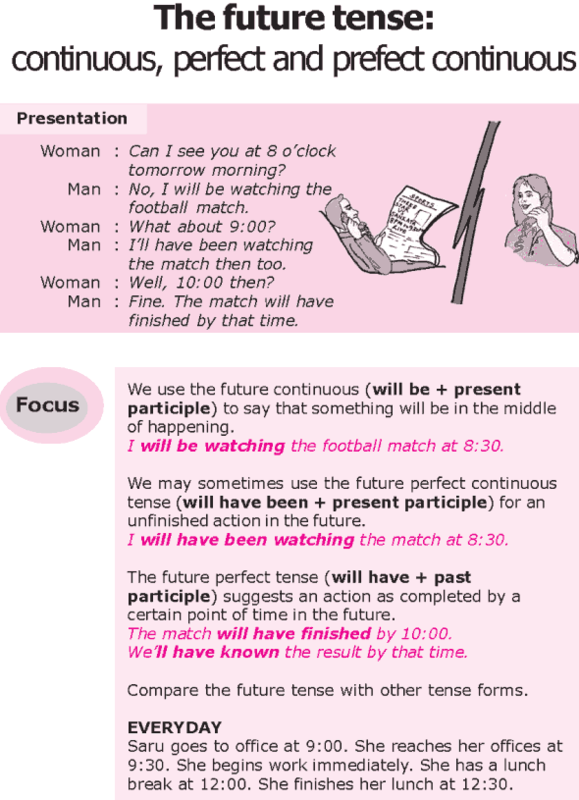 The future perfect tense (will have + past participle) suggests an action as completed by a certain point of time in the future.